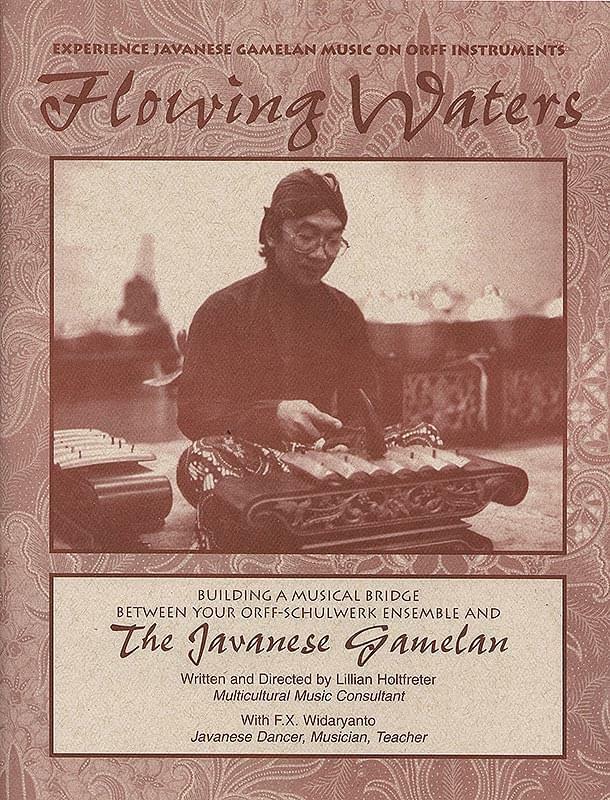 Flowing Waters is a unique hands-on introduction to the music and culture of Java, for Orff-Schulwerk Ensembles. It includes everything you need to add the wonderfully rich sound of the gamelan to your school, using the Orff instrumentarium. Students learn not only to appreciate, but to understand the unique and very beautiful sound of the gamelan through hands-on experience. Seeing the instruments through the eyes of a master Javanese musician, students are led into a respect for the gamelan and the revered place it has in the lives of the Javanese people. The DVD first introduces your group to Java and the instruments of the gamelan, demonstrated by FX Widaryanto, then shows you clearly and methodically how to teach "Ritjik-Ritjik" to your students, guided by master teacher Lillian Holtfreter. The 24-page manual is an easy-to-use guide that supplements the video with detailed lesson plans, cultural background, and other information.